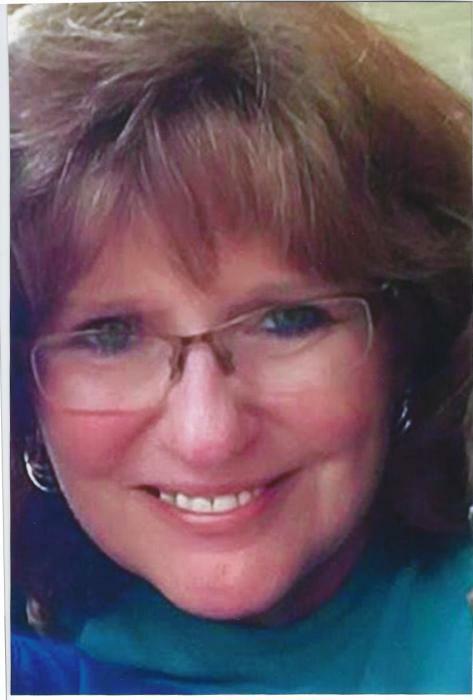 Palmetto-Cathy Ann Sullivan Hester, 59, met her Master face to face at 1:30 pm at her residence in the Palmetto Community on Monday, December 3, 2018. Cathy was a delightful soul who never met a stranger and loved her family dearly. Born January 18, 1959 in Lee County to the late John L. Sullivan and Anna Laura Simmons Sullivan, she grew up here and graduated in l977 from Mooreville High School. She married Rickey Hester on January 20, l978. She and Rickey lived in the Palmetto Community on Hester Hill all their married lives except for 10 years in Mantachie. Cathy worked over 40 years in the furniture manufacturing industry. She was employed at Action/Lane for over 30 years and spent her last years at H. M. Richards. She was diagnosed with a brain tumor on July 20, 2018. She fought a valiant battle and was inspired by a loving, devoted husband and family who gave her excellent care. Her happy place was the beach and, at her request, her entire family spent the past Labor Day holiday together with her at Orange Beach, Ala. A master cook, Cathy loved God’s creation including camping and a passion for all animals. She accepted God’s unmerited grace at an early age and was a faithful member of West Jackson St. Baptist Church where she and Rickey were active in the pre- school ministry and she sang in the choir. Her ultimate happiness was doting over her three grandsons who called her Nana or Ninny. She will be sorely missed by a grateful family and a large host of friends. A service celebrating her life will be held at 1 PM Thursday, December 6, 2017 at the Tupelo Chapel of Holland Funeral Directors with her son, Rev. Richey Hester delivering personal and spiritual reflections and her pastor, Dr. Keith Cochran bringing the message. Burial will follow in Lee Memorial Park. Visitation will be from 4 PM-8PM today (Wed.) and from 11 AM-service time on Thursday, all at Holland-Tupelo Chapel, which is honored to be serving their family. Survivors include her husband, Rickey Hester of Palmetto; 2 sons, Richey Hester and wife, Renae of Mantachie and Shawn Hester and his wife, Kristy of Mooreville. Her cherished grand boys; Reed, Hunter and Zach Hester. Her sister in law, Rita Hester Curbow (Mike) of Auburn Community and Ronnie Hester (Susie) of Palmetto. Her uncle and aunt, Carl and Linda Sullivan of the Fairfield Community. Numerous nieces, nephews, cousins. She was preceded in death by her parents, an infant grandchild, her sister, Patsy Pettigrew, her in laws, Carolyn Grubbs and John Thomas (Bud) Hester, a brother in law, Randy Hester and a special grandmother, Velsie Sullivan. Pallbearers will be her 3 grandson’s, Reed, Hunter and Zach and her 4 nephews, Chance Curbow, Christopher Hester, Jimmy Lamons and Shane McGee.